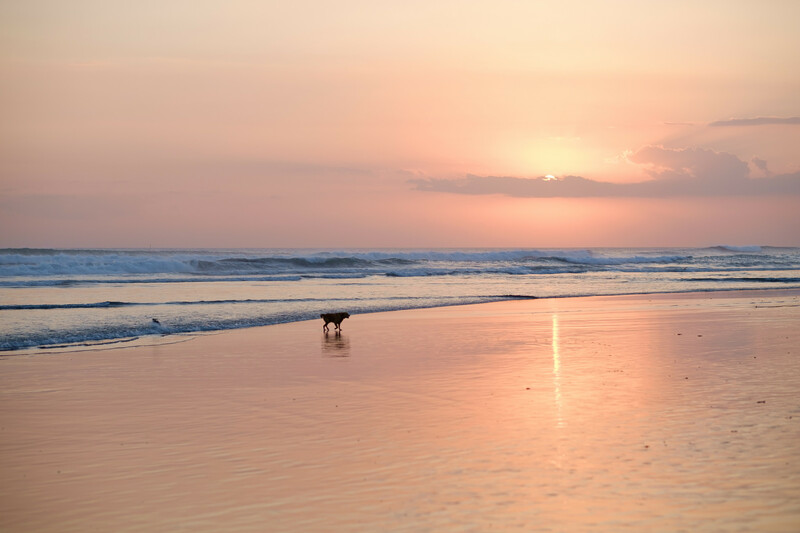 As home to bustling markets, beachfront bars, a thriving surf community and vibrant nightlife, Bali isn’t particularly known for having its moments of downtime. In fact, the island has gained itself a reputation as the go-to destination for adventure junkies over the years, with everything from jet packing and mountain climbing to horse riding on the beach all on offer. Head to the colourful beachfront town of Kuta on any given night and you’d be hard pressed to catch a moment’s silence. As a shopping mecca, swathes of tourists amble the strip in search of big-name brands and authentic Balinese wares, all to the continuous sound of horns, sales patter and music, utterly swept up by the commotion and magic of the night. That is, except for one day. 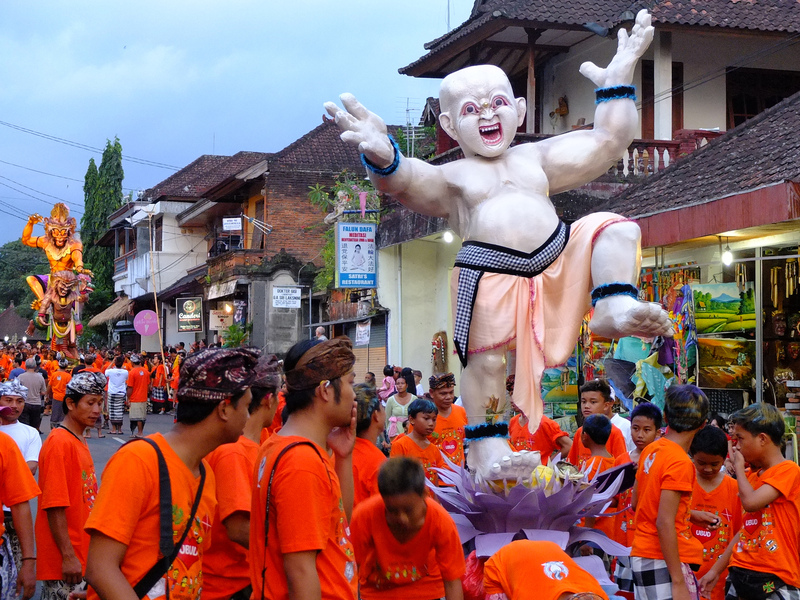 Enter Nyepi – Bali’s day of silence. I often wonder what the world would look like if not for tourism. And whilst there’s no conclusion to reach other than ‘a very different place’, each year in March, the Nyepi celebrations on the Island of the Gods leave visitors feeling as though this is the closest they’ve ever been to such an experience. 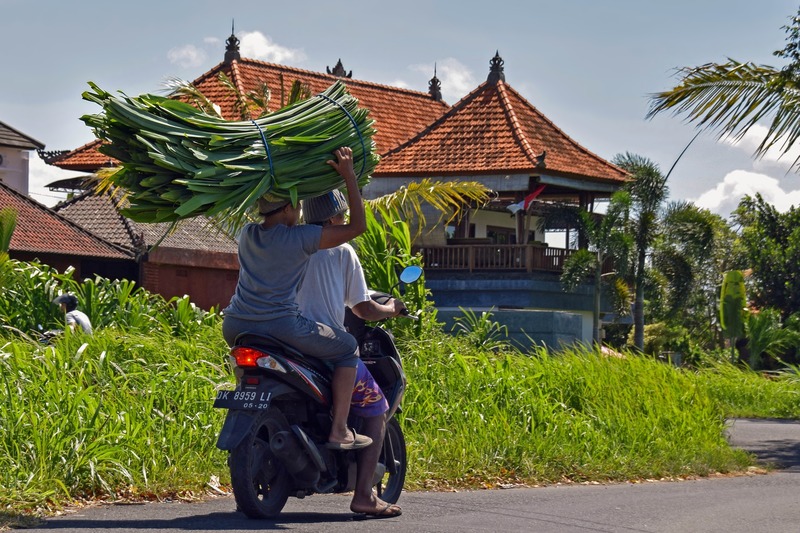 As Indonesia’s main Hindu province, religion is a huge part of island life which can be seen across its breadth, with temples and religious offerings on every street corner. Unique from any other New Year’s celebration anywhere else in the world, Nyepi is a day where complete silence falls upon an otherwise buzzing island to allow its residents the opportunity to reflect, meditate and take a moment of self-introspection. Reminiscent of the desolate scenes found in The Walking Dead (without the flesh-eating zombies, destruction and drama), the streets become completely empty – and eerily so – all except for the presence of the pecalangs, Bali’s street security, and the odd dog. Traffic is a no-go and people are nowhere to be seen, meaning restaurants, temples, shops and even airports are all closed for the day. The rules of the public holiday dictate that residents must remain indoors without working or any form of entertainment and candles become the sole source of light across the island. For visiting tourists, it serves as a fantastic chance to get involved in a lesser-known cultural holiday and to experience the serenity found behind the closed doors of the spas and luxury hotels in Bali. Visitors needn’t feel guilty about staying indoors whilst on their travels and can embrace the silence by joining in with the self-reflection and spiritual cleansing. Of course, this is Bali, which means that none of this could go ahead without an extravagant display of bells and whistles prior to the island’s radio silence. Parades, performances and music give the streets a party-like atmosphere and are a treat for onlooking tourists as they’re warmly welcomed into this once in a life time celebration of Balinese culture. Rituals include the burning of utterly terrifying effigies, relaxed prayer on the beach and the hurtling of religious offerings into the roaring ocean. Paraded down the street to the delight of the excitable crowds, the effigies (known as ogoh-ogoh) are said to represent demons and negativity, and their burning symbolises the purification of the environment. Commotion and exhilaration go hand in hand in the run up to Nyepi, and as the streets begin to empty and the sun begins to rise, you’ll be blurry-eyed and ready to unwind to that all-important silence. Check out this Nyepi special offer to experience the festivities in indulgent style.